Just a quick post to send our warmest wishes to you and your family. Hoping you enjoy all the blessings you have in your life! Today is the last day of classes for the fall semester. Typically, classes do not end until after the Thanksgiving holiday, but our academic calendar is a little different because Thanksgiving falls so late this year. It is a bittersweet day for students. There is a definite measure of relief in the conclusion of classes, but the looming final exams simply means that the intensity of the semester ramps up. Still, it is Thanksgiving week, and there is time (at least) to pause and eat a good meal with family and/or friends. Because we have students from all over the world and many do not have time to go home for Thanksgiving, my family is honored to host students that need a place to spend Thanksgiving. Professor Jim Gash is going out of town for the holiday but has graciously loaned his house (with a double oven!) to my family for this purpose again this year. It looks like we will have around twenty-five people for Thanksgiving dinner! As the semester winds down, I have enjoyed seeing a couple of holiday-themed pictures show up from our great students. 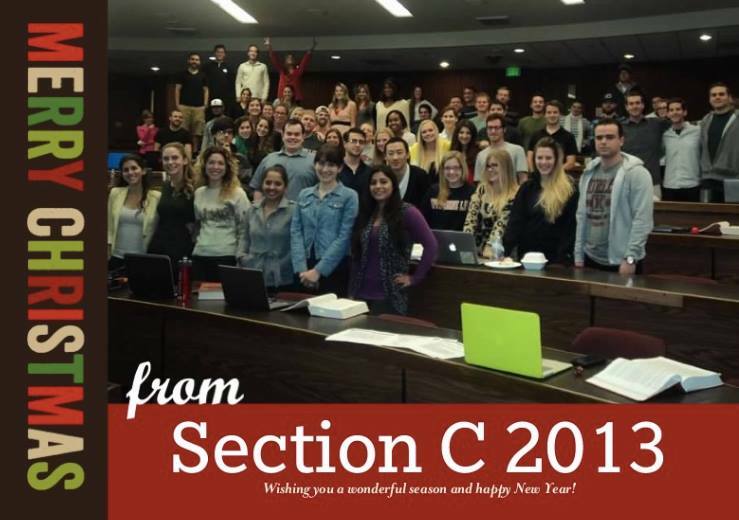 The following pictures are from one of our 1L sections (Section C!) 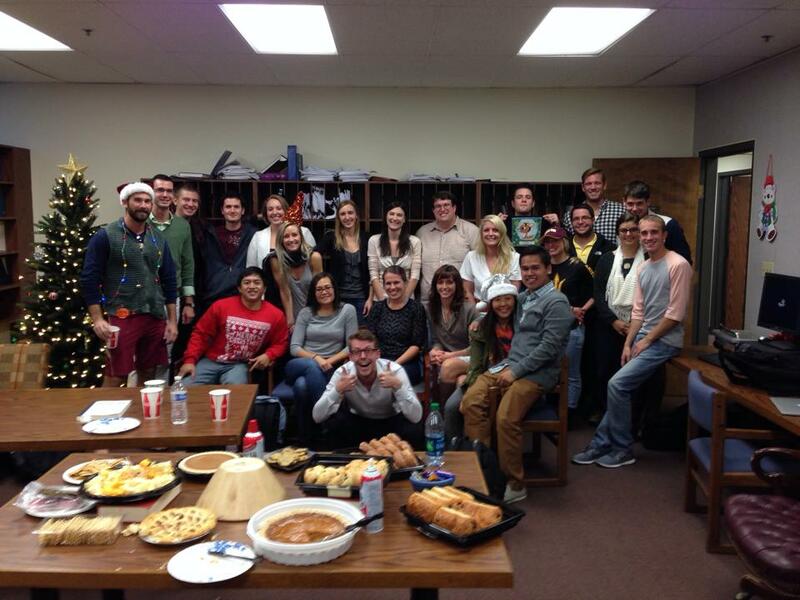 and from the staff of the Pepperdine Law Review. This year, the Office of Student Life launched the Student Life Challenge to encourage students to incorporate healthy habits into their daily lives. Law school (and the legal profession) isn’t necessarily known for healthy habits, but at Pepperdine Law we hope to counteract that unfortunate trend. We had fifty participants submit points in the Challenge — twenty-six 1Ls, twelve 2Ls, eight 3Ls, and four faculty/staff members — even though we had many others participate in healthy activities. Points were earned for physical exercise, good nutrition, and emotionally healthy activities. Today, we will conduct drawings for prizes among those that submitted points. A $250 Nike gift card for the student participant that earned the most points. Another $250 Nike gift card (drawn among all student participants). Three free semesters of fitness classes donated by Pepperdine Campus Recreation (student participants only). So twenty lucky winners today out of fifty participants — pretty good odds! But as I stated from the start, everyone that participated is a winner! Last Friday I had the chance to visit Houston, TX as I tabled at the National Black Pre-Law Conference. The conference features a great networking event for Black Lawyers and lots of information about the “ins and outs” of law school, aimed at helping prospective students choose the best place for them. I had the special treat of tabling with one of my former students, Taurean Brown, an attorney practicing in Houston with the firm McGuireWoods LLP. 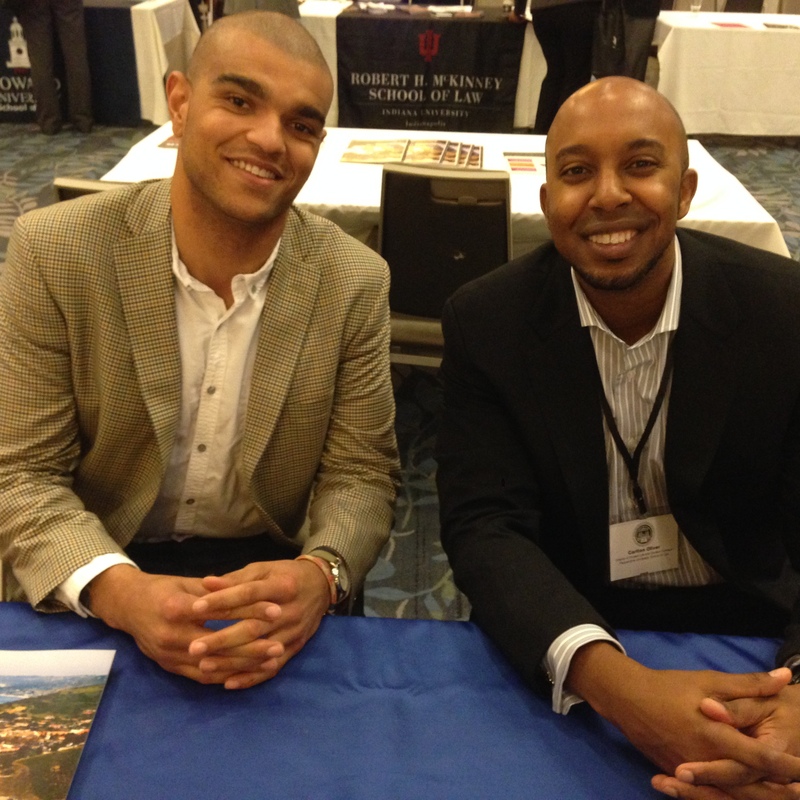 Taurean graduated in 2011 and was a great asset to have at the conference as prospective students got a chance to hear from someone that was at Pepperdine law just a couple years ago. The event ended with lots of interest in our school of law. I’m always encouraged when alums are willing to give their time toward helping Pepperdine attract the best and brightest. It’s what keeps our future looking bright! The Office of the Chaplain at Pepperdine University led the Pepperdine community in a moment of prayer for those affected by Typhoon Haiyan in the Philippines yesterday afternoon. In addition, two separate relief efforts are underway at Pepperdine, including a student-led effort at the School of Law. School of Law students are collecting donations for the Kapuso Foundation and the Philippine Red Cross. Donation boxes are available all week in the Harnish Law Library, and students are staffing a donation table in the atrium during the lunch hour each day. 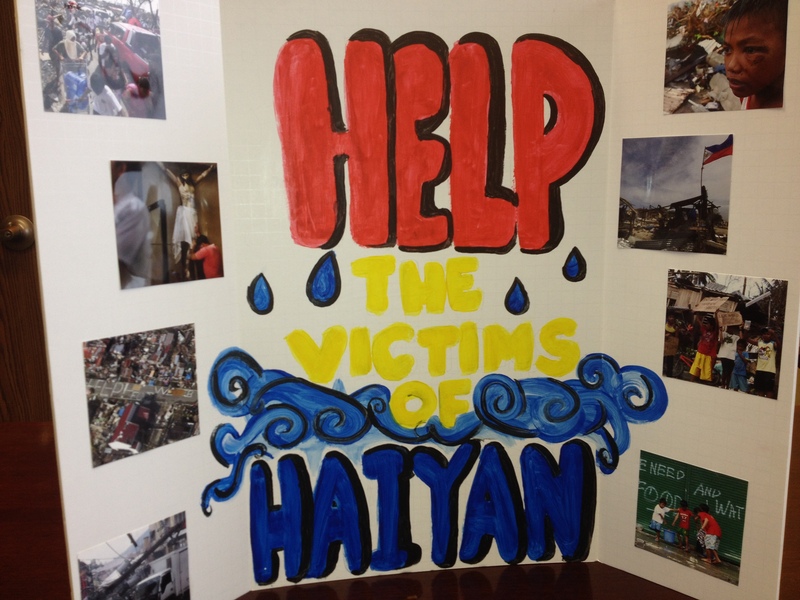 The picture above is of the poster made by a student to advertise the need for donations. Also, Pepperdine staff members recently hosted a potluck fundraiser benefiting the Salvation Army Philippines Typhoon Haiyan Relief Fund. 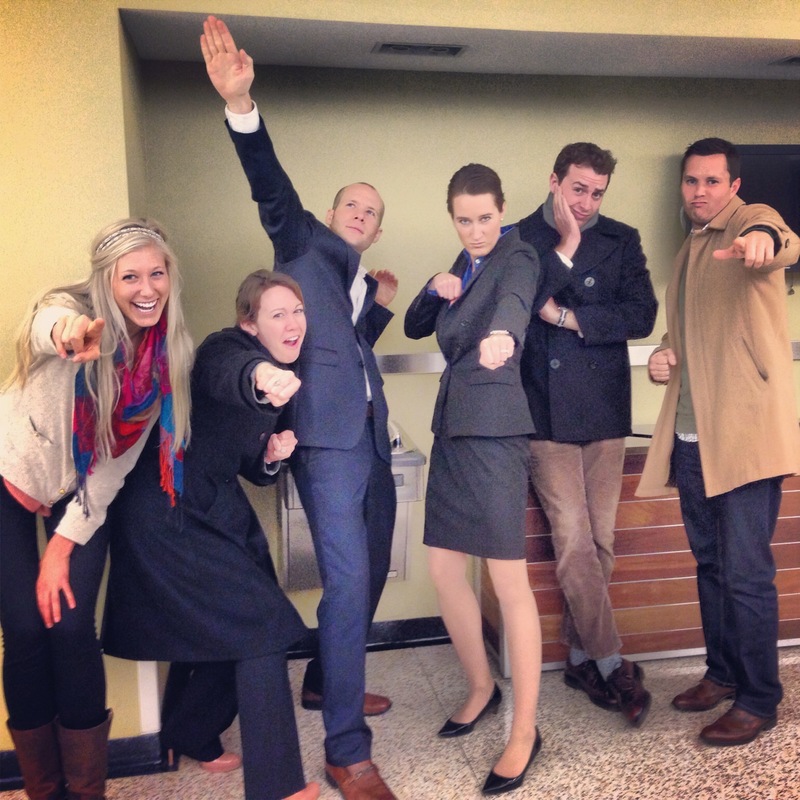 Pepperdine Moot Team stands tall in Chicago! More good news for our Moot Court Teams! 3L’s Jacob Franz and Stephanie Lamphere progressed to the “Final Four” (out of 30 teams) while competing in the Chicago Bar Moot Court Competition last week. The team argued before the Chief Justice of the Illinois Supreme Court (twice) and continued the long-standing tradition of Pepperdine success in Moot and Trial team competitions. Also pictured above – 3L Annie Lawson, 2L Paul Thies and Pepperdine alums Kaitlyn Leonard and Robert Dudley. Yesterday was a milestone day for our 1Ls, and if you are in close contact with a 1L, this is not news. The “open memo” project was due at 8:30am yesterday morning, following a LOT of hard work, possibly including some blood, sweat, and tears. The open memo is the most important assignment in the fall semester Legal Research & Writing course, and turning it in yesterday signaled that this particular course is over for the semester. Thus, one course down. The three courses that remain — Civil Procedure, Contracts, and Torts — will conclude in much-anticipated final exams (December 5, 11, and 16). Today is “the day after” the open memo project for our 1Ls. Hopefully, last night included some catch-up sleep, and with the beautiful Malibu sunrise this morning, our first-year students can turn the corner and begin focusing on final exams. Classes end one week from today, so the final push is on. 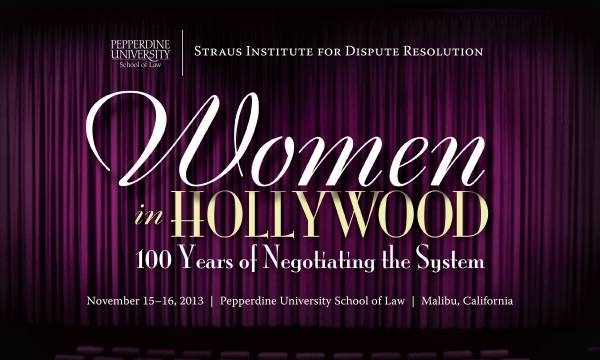 Last weekend, the Pepperdine School of Law’s Straus Institute for Dispute Resolution and Pepperdine University’s Center for Entertainment, Media and Culture co-sponsored the conference Women in Hollywood: 100 Years of Negotiating the System at the School of Law. There was a large crowd in attendance, including many important panelists from the entertainment industry. Women have played important roles in the entertainment industry from its earliest days. They have achieved great success as actors, directors, writers, producers, agents, managers and legal advisors, and have attained leadership positions in guilds, studios, networks and other industry organizations. But women still face significant challenges in Hollywood. Women in creative, business and legal roles must find ways to effectively balance careers and personal lives. Groups such as Women in Film L.A., New York Women in Film and Television, The Center for the Study of Women in Television & Film, The Geena Davis Institute on Gender in Media, and the Directors Guild of America Women’s Steering Committee have highlighted the relative scarcity of opportunity for females as creative artists. Although notable efforts have been made toward addressing these realities, challenges and disparities remain. Women in Hollywood: 100 Years of Negotiating the System is intended to focus on the special issues and challenges facing women individually and collectively in the entertainment industry. 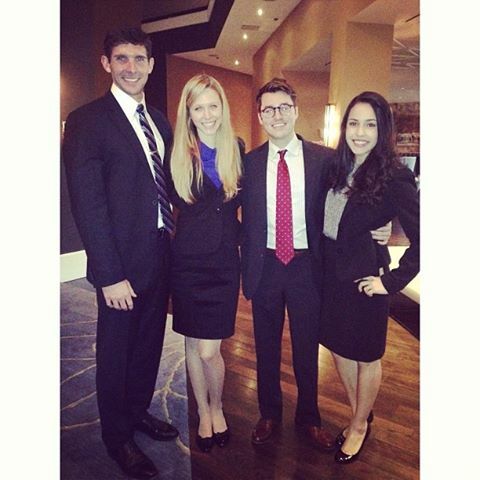 Last weekend, 3L Austin Ward and 2Ls Jonathan Moore, Niki Cid, and Shannon Pagel represented the Pepperdine Trial Competition Team in the 2013 National Civil Trial Competition hosted by Loyola Law School, finishing as semifinalists in the tournament. The team was undefeated in the preliminary rounds and was ranked in second place when they advance to the semifinal round. Congratulations to this impressive team!!! The “winter” months in Malibu tend to be when most of the action occurs. And by action, I mean Mother Nature! Be it brush fires, rock slides or torrential rain (okay, it probably more like slight rain to most, but it feels torrential for here). 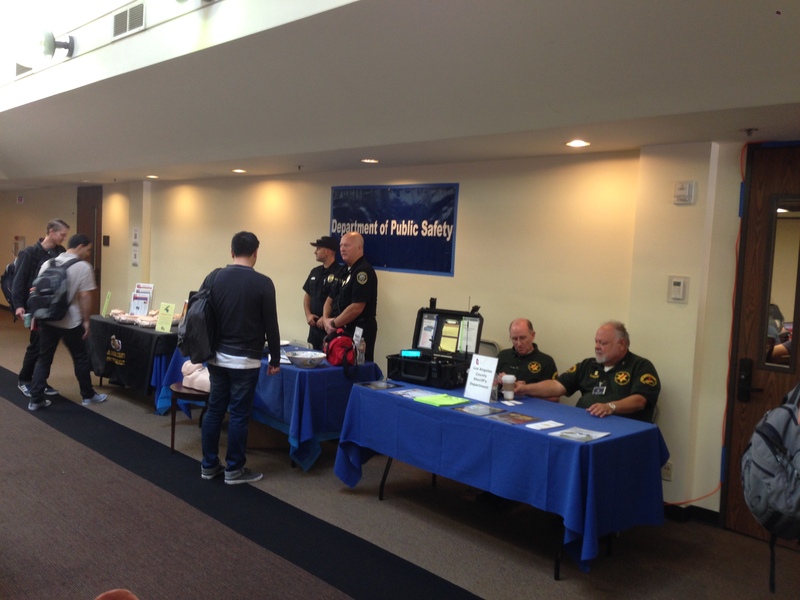 Today, the School of Law is hosting an Emergency Preparedness Event in conjunction with Pepperdine University Insurance and Risk Management and the Department of Public Safety. The event is an opportunity for students to be better informed and includes signups for emergency notification from LA County, Ventura County and Pepperdine University. It’s a pretty good way to stay informed in the unlikely event of an emergency.